Below you will find a list of our activities already programmed for the second quarter of 2018, with links to further information. We have been working very hard on a new website layout, which will also work on smartphones, tablets and ipads - and we are still working BUT we would like you to see what we are working on and welcome any comments to its functionality. The new website will run in a beta-version (= not finished) alongside the current website but eventually we will have reached a final stage and close the current website - hopefully by the end of 2018. You can see the new website here: www.beta.odinteatret.dk - we hope you like it. The conference will present different perspectives on how European cultural projects move cities and citizens - in the past, present and future. European Roots and Shoots - Art Moves Cities is organised by Nordisk Teaterlaboratorium - Odin Teatret, the lead partner of the European collaborative social community theatre project, Caravan Next. On the list of guest speakers we have, among others, Barbara Gessler and Pedro Velázquez from Creative Europe, Julia Varley from Odin Teatret and Natalie Giorgadze from Culture Action Europe. 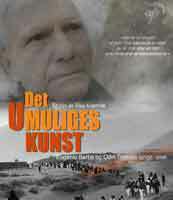 A new documentary about Eugenio Barba and the beginning of Odin Teatret. Free entry. with international participants, Eugenio Barba and Odin actors. Work demonstration with Julia Varley. Work demonstration with Jan Ferslev. A discussion and screening with Parvathy Baul and Julia Varley. Conferences, workshops and work demonstrations.